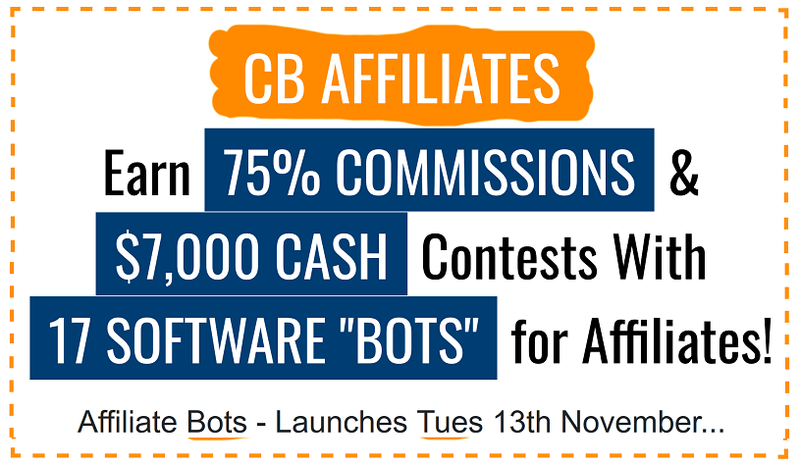 Traffic BOTS Launches Tues 11th December. Earn 75% Commissions on ClickBank – with $2,000 Cash Prizes. If you have an affiliate/traffic/video/JVZoo/Ecom/general IM list, sign up now!